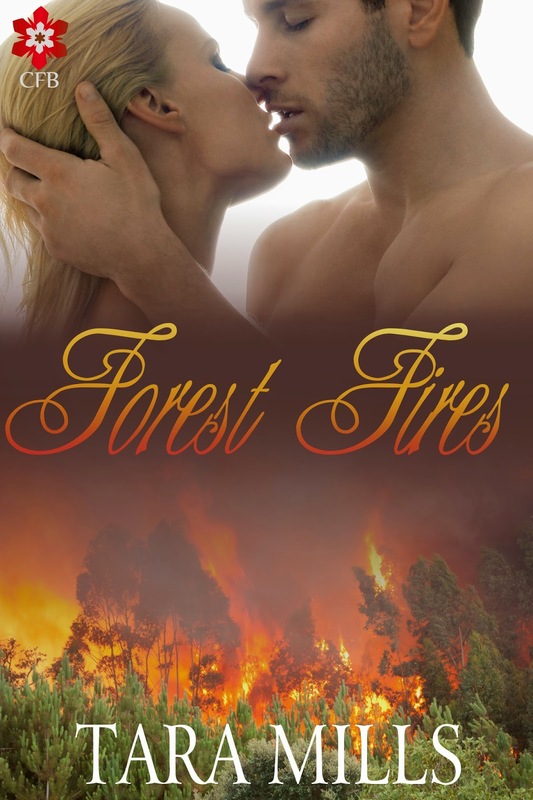 Crimson Frost Books: TARA MILLS' FOREST FIRES! Some sparks will catch. Some will consume. Cocky Charley Jensen doesn't mince words. She knows how to handle herself, doesn't shy away from hard work, loves tinkering with her pickup, and is far more comfortable with a tool belt hanging off her hips than an apron. However, Charley's a failure at personal relationships, with more experience throwing punches and insults than her arms around someone. She's way out of her comfort zone when she strays across a clean cut babe, emphasis on babe, stranded in the woods. Her immediate cool and dismissive assessment of Drake Carver is entirely wrong - though correcting someone this opinionated isn't easy. But don't let this biologist's Oxford shirt fool you. Drake's tough, used to roughing it, and not afraid to be tested. He's just never encountered a woman quite like Charley which, in his opinion, makes her ideal for his purposes. Unfortunately, she's not easy to win over. It will take an act of heroism to prove his mettle. However, time is running out and theirs aren't the only sparks flying in the woods.